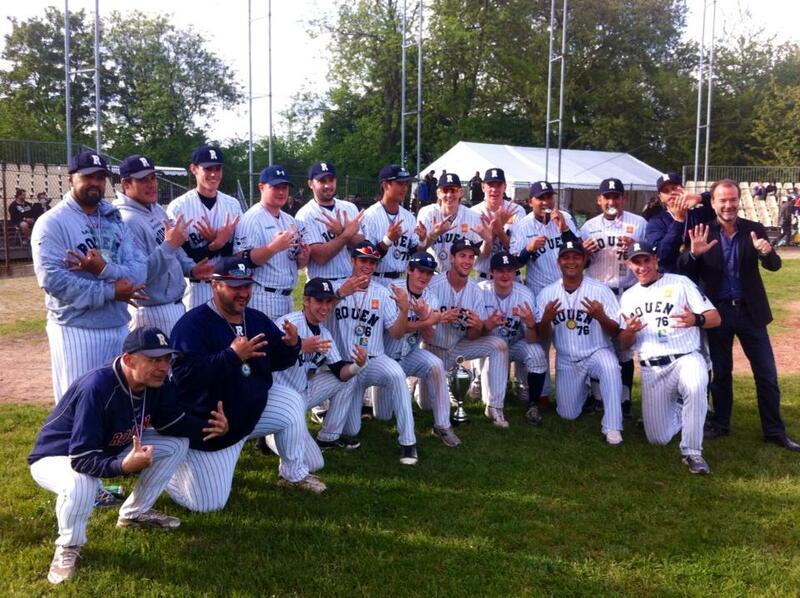 The Rouen Huskies have won the 2013 Challenge de France. The reigning French champion won the four-day French cup tournament for the sixth time in ten editions. They beat the Templiers Senart 9-7 in the championship game overcoming a 1-7 deficit after six innings in the process. Boris Marche was named MVP of the Challenge de France, Keino Perez (both Rouen Huskies) best pitcher and Rolando Betancourt (Templiers Senart) best batter. The surprise of the tournament was the French U18 National Team, which claimed third place in the final standings. The 2013 Challenge de France was played from Thursday, May 9 to Sunday, May 12 in Paris, using a modified double elimination format to determine the winner.